I mean, obviously Thor survived too, but it’s not Thor. As you might expect, this post contains spoilers for Infinity War. 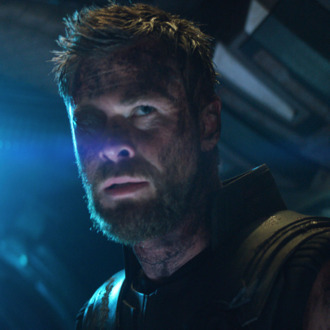 Avengers: Infinity War leaves viewers with plenty of questions, one of which comes up in the movie’s very first scene: When Thanos attacked the Asgardian refugee ship from Thor: Ragnarok, did anyone survive? Fortunately, the teens of America have come through with an answer to this nagging question. During a visit to an Iowa high school, Infinity War co-director Joe Russo reportedly confirmed that Tessa Thompson’s Valkyrie had managed to escape the slaughter alongside a few other Asgardians. Unfortunately, when asked about the other beloved Ragnarok character whose fate is unknown, Taika Waititi’s Korg, Russo said he preferred to keep mum on the cheery rock warrior’s status. Damn. Another day, another Doug.